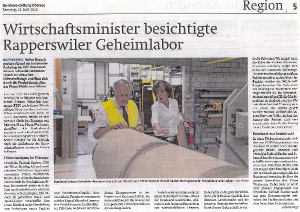 The Swiss minister of economy, Johann Schneider-Ammann, visited Weidmann Fiber Technology during his participation at his cantonal party’s yearly convention which was held on the premises of WICOR. He took the chance to tour the facility and learn about the new products developed at Weidmann, in particular the microfibrillated cellulose and the oil-absorbent sponges. 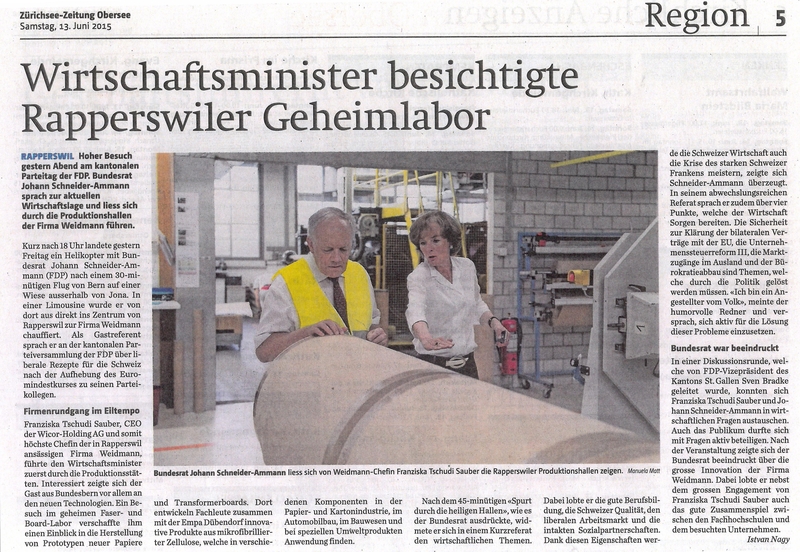 Read the full article in German language here.